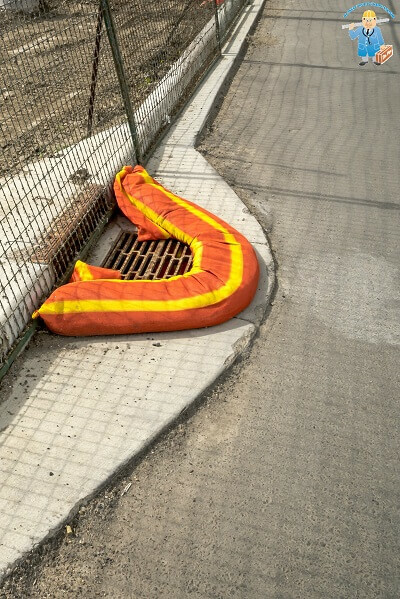 Also known as a storm drain, a catch basin is a drain found in yards or by the curb of your house that filters debris from entering the storm sewer. Leaves and litter flow into the catch basin along with water and rest on the bottom, while the water drains out at a higher level, leaving all the debris behind. Catch basin maintenance ensures that these drains don’t get clogged and cause overflowing and flooding around your property. No doubt you’ve seen a catch basin clogged with leaves and debris during heavy rain and the whole street was flooded as a result. That’s why catch basin cleaning is incredibly important. If those clogs become too severe, that water can back up into your basement. Additionally, because the water is backing up all the way from the drain to your home, you run the risk of damage to the foundation of your home and even sinkholes. When doing lawn and yard maintenance, remember to never deposit leaves over the catch basin and try not to park your car over one either as both will limit the drain’s ability to function properly. Removing the built-up sand, litter, and debris is necessary for a properly functioning catch basin. We treat your home the way we expect workers to treat our homes. That means coordinating with you from the moment you call for a quote all the way through the final work we perform. Our team will cover and clean everything in their work area so you don’t have the added stress of a mess to tidy up, and we’ll finish as quickly and efficiently as possible. Our work speaks for itself. Check out the testimonials from past customers we’ve worked with and then call us for a no-obligation quote.